1.Q:About price: If I want a big order, can the price be cheaper/pc? A:Yes. You will enjoy our discount If you repeat and have our wholesale price when you have a big order. A:We work from 9 a.m. to 12 p.m., and we usually will reply your inquiry and deal with your orders within 24 hours, but it will be a bit longer when we are on holidays. So you can directly chat with us online or leave a message or send emails to us when we are off-line. As soon as we are on work, we will give you a reply immediately. 3.Q:Why the price will be different with the price on the website? A:The price on the website is just for your reference, it depends on the quality standard and total freight. Please kindly check. a.The freight cost varies from different Express. b.The freight will keep changing day by day, so please contact us for accurate shipping fee. c.The freight is different to different countries, usually we will choose the best one for our customers considering the shipping time and price, or you can tell us the express you want. Note: Customs fees and shipping fees are charged by customers. We can provide relevant files if you need to clear the customs. 4.Q: Who pays for the Duties and Tarifs on international shipments? A: We will not charge any duty for an international order. Import duties and taxes, which are the responsibility of the customer. Please contact your local customs office for details. 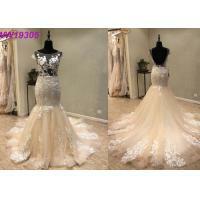 However, we will send the dress as a sample to avoid your taxes. 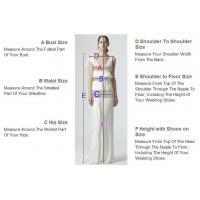 Xiamen Shanny Dress Industrial Co., Ltd. is located in Xiamen, China. 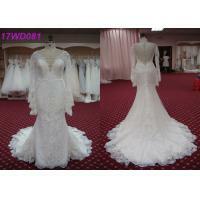 Our company is one of the most professional manufacturers of Wedding dresses and Evening dresses. Our factories have more than 15 years of experience in this industry. Today, we have a professional team specializing in design, production, sale and service. We have customers in Europe, North America, the UK, Australia and the Middle East. 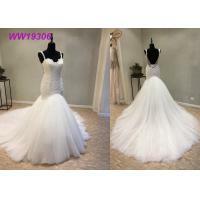 Our main products including wedding dresses and all kinds of Formal dresses, Evening dresses, Party dresses, Bridesmaid dresses, bridal Mother's dresses, Flower girl dresses, etc. 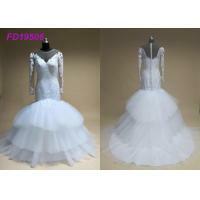 We use first class satin, charmeuse, chiffon, taffeta, georgette, organza, tulle and lace fabric. We have 7 Functional DPT. They are R&D DPT, Manufacturing DPT. QC DPT, Purchase DPT. Administration DPT. Finance DPT. And Sales DPT. We have near 300 employees and 3000 square meters factory area. 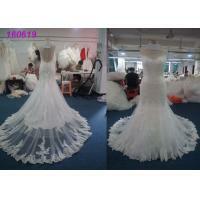 Our monthly production Capacity can be up to 2000PCS wedding dresses and 10000PCS evening dresses. Supported by creative design, advanced equipment and strong production capacity. Good and stable quality and excellent administration. We accept OEM and ODM service. We are also looking for agents for our designs, If you would like to be our agent, pls feel free to contact us for detail communication. Tks. 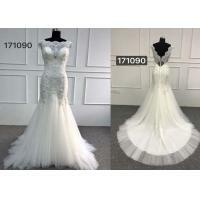 Our culture is that sincere cooperation, friendly relationship, mutual trust, full support is the basis of our success, high quality product, perfect service, thinking more for customers, meeting the latest needs of the market is the key to perfect dress development.